It’s a classic story of the underdog. A Canadian club Football team, the Niagara X-Men, crosses the border for a season and butts heads (literally) with the US college football league in a bid to get their star players seen and maybe, just maybe not lose. It’s the final game of the season. The clock has run down to zero on the fourth quarter and the last play is ongoing. The X-Men have just scored a touchdown to bring them to within 2 points of tying with their opponents. Tying means not losing and, in order to achieve this glory, having lost every other game, all they have to do is successfully run the ball for the 2 point conversion instead of kicking it for 1. They say that, in life and death situations, your whole life flashes before your eyes. This book is the timeframe of those seconds for the coach before that last play and every thought, decision, reason and rule that goes through the coach’s head is written in what is almost a stream of disjointed consciousness. 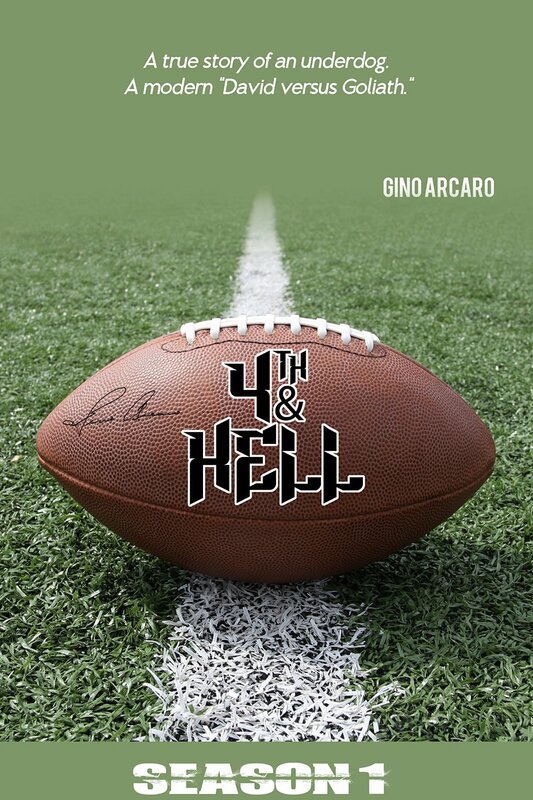 Yes 4th and Hell is about Football. But it’s about so much more. You are either going to “get” this book and enjoy it or you’re really not. If you don’t I can see that you would give it one star and that only because you found out that Canada had a football league. But if you “get” it, you will believe that this book contains the answer to everything or at least the way to find the answer. As the stream of thoughts flows past, you get the psychology of the underdog and the practical rules of the game from the inside. You get leadership hints and self-motivational skills. You get to see the decision making process at work and all the myriad thoughts and background events that cause that decision to come to the fore. 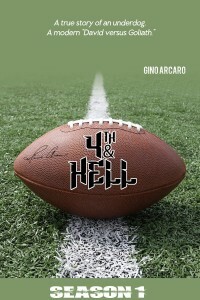 4th and Hell is Sun Tzu’s Art of War written by James Joyce and played out on a college football field. Oh, and did they get the 2 points and tie the match? You’ll just have to read the book and see.